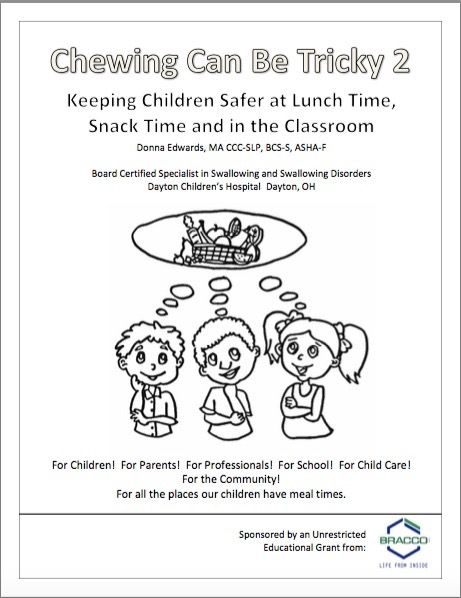 Pediatric swallowing specialist, Donna Edwards, CCC-SLP, BCS-S, and ASHA Fellow, has created an outstanding resource for children, parents, and professionals to learn about safe eating and to reduce the likelihood of choking. This coloring book includes a long list of fun activities that parents and professionals can use to teach children about safe and healthy eating. Available in English, Spanish, and German. These are great! Are you using them Krisi?